Visit the historical mission towns of Amalienstein and Zoar. 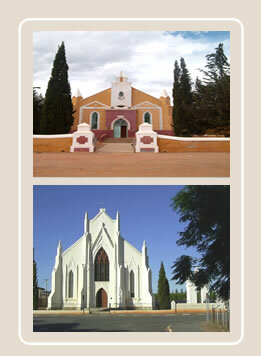 Calitzdorp, the Port capital of South Africa , is a mere thirty minute drive away. 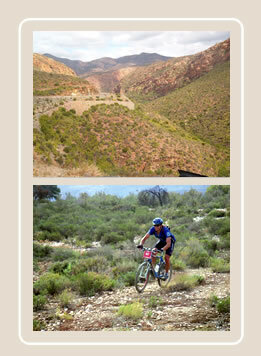 Oudtshoorn with it's famous ostrich farms and Kango Caves is only an hour's drive and George International airport only two hours away. 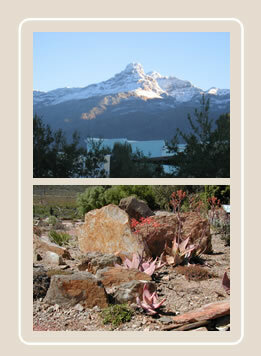 If you feel like exploring the town of Ladismith , there is plenty to offer. The town's friendly people will charm you. Visit Ladismith Cheese Factory with a selection of fine and delectable cheeses. Ladismith Wine Cellar offers the wine lover a great selection. Ladismith also have a golf course. For the Hiking enthusiast there is the Elandsberg Mountain trail, which takes you all the way to Stanley 's light (seen from Ladismith at night) or the Towersig Mountain trail, which will take you to Ladismith's major landmark: Towerkop.